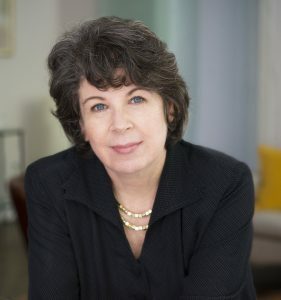 Meg Wolitzer is the New York Times bestselling author of The Female Persuasion, The Interestings, The Wife, and other books. She was the guest editor for The Best American Short Stories 2017, and her short fiction has appeared in McSweeney’s, Ploughshares, The Best American Short Stories, and The Pushcart Prize. Wolitzer is a member of the MFA faculty at Stony Brook Southampton, where she co-founded their BookEnds program. She has been a guest artist at the Princeton Atelier at Princeton University, and lives in New York City. The film based on her novel The Wife won a Golden Globe Award for Glenn Close, who has also been nominated for an Academy Award for the performance. Page last updated by Film Studies at 12:11 pm January 25, 2019 . This page was printed from http://film.camden.rutgers.edu/2019/01/25/april-3-2019-writers-in-camden-meg-wolitzer/ at 8:08 PM Monday, April 22, 2019.